In this Article, we will learn How to implement server-side paging in ASP.NET MVC. Pagination is used to divide the data or content into multiple pages which makes a page to load faster and the user can read the data without scrolling. 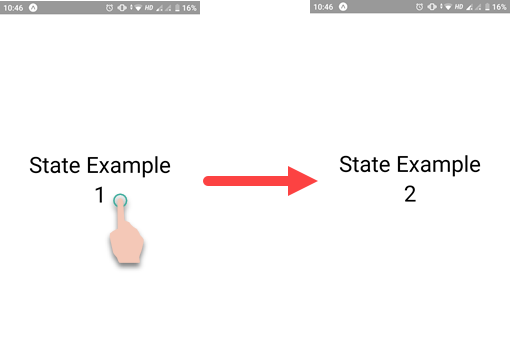 In this Article, we will see How to use State and Props in React Native Application. If you are new to React Native, then I will recommend you to read the previous article of this series. In React (or React Native), there are two types of data that can control a component. One is State and another is Props. State: State can be referred as the local state of the component. State of a component cannot be accessed and modified outside of the component. State is mutable, which means that the state of a component can be changed in response to some action. State of one component can behave as Props for the other component as well. We cannot update the state directly, in order to update the state of the component, we have to use setState method. setState will re-render the parent component as well as the child component class. Let’s see How we can use state in React Native Application. In the above example, we have created state object and added a Counter property with initial value as 1. We have declared updateState function in order to update the state using the setState method. On calling setState, it will re-render the Component. On the Text component, we are using onPress Touch event which will can the updateState function and increase the counter value with 1. Now let’s run the application with npm Start command. 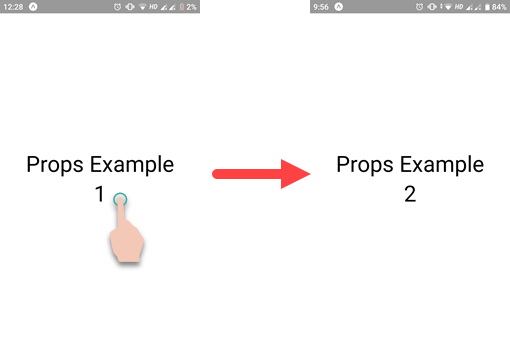 Props: Props stands for the properties and used to pass data as well as an event handler to the child components (passing data from the view to the controller or from parent to the child). It is immutable that means we cannot change its value and have fast performance than the state. Let’s do some changes in the previous example in order to check its functionality. In order to demonstrate we need two Classes, one will behave as parent and other will behave as child. In the above code, we are importing the Child class (code for the Child class is provided below) and passed Counter value(as myCounter attribute in JSX) as well as function (as updateState atribute) for the updating the State as props. As we know, our Child class is receiving multiple props so we can use this.props.<Name_Of_Property> in order to access its value. In this article, we will see How to Convert PST to Thunderbird MBOX. Why would you Convert PST to MBOX?